Drug & Pharmacy Error Prevention in the US | Kennedy Hodges L.L.P. Studies have shown that the number of medication errors are extremely underreported in the United States. 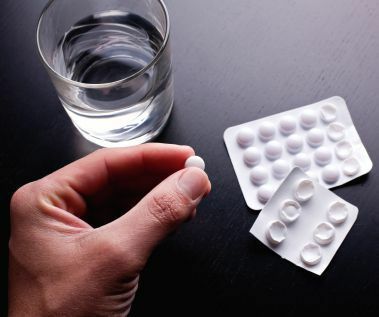 The danger of prescription error has always been present, but after a report issued by the Institute of Medicine in 1999, the American public was made aware of just how widespread prescription error is. The report stated that between 44,000 and 98,000 deaths resulted from hospital medical errors and over 7,000 deaths were related to medication error. Proposed regulation changes to reduce prescription errors. To reduce errors in medications with sound-alike names, the FDA reviews drug names before they are put on the market to consumers. Recommendations for error reduction: The FDA tracks errors of similar-sounding drug names and publishes reports on them along with recommendations for reducing errors. Safety reporting: The FDA proposes to enhance safety reporting of drugs on the market. The proposed changes would require reports for important potential medication errors. Unfortunately, despite the regulations in place, the rates of prescription errors in the nation are startling. Recent figures estimate that 1.3 million people are injured each year because of medication-related errors. Lawsuits help reduce the rate of prescription errors. You can help prevent medication errors from happening to others by filing a lawsuit for prescription errors against corporations like Walgreens, CVS or other pharmacies. A common assumption that people often make is to think that their claim would fall on deaf ears: most pharmacies are large corporations and one lawsuit would just be ignored. But this is not true: filing a lawsuit is the only way to make these businesses listen and take notice. Pharmacies are in the business of making money; their biggest concern is their bottom line, not consumer safety. But one error by a pharmacist can cause severe injuries or even death. There is no federal requirement for pharmacies to report medication errors, even those that result in serious injury or death. By filing a lawsuit against the parties responsible you are making them take accountability for violating a duty of care that is owed to you. Order our FREE book, written by personal injury attorneys, to learn more. If you have questions about pharmacy lawsuits, order our FREE book, "How to Make Pharmacies Pay for Your Injuries Caused by Medication Errors," to get answers. You can also call our board certified attorneys at 888-526-7616 to start your free case review today. Posted on 11/28/2014Can New Technology Protect You From Drug Reactions?